The microscope suite houses more than eight microscopes for micropalaeonological analysis (palynomorphs, foraminifera, insects and diatoms) and thin sections. 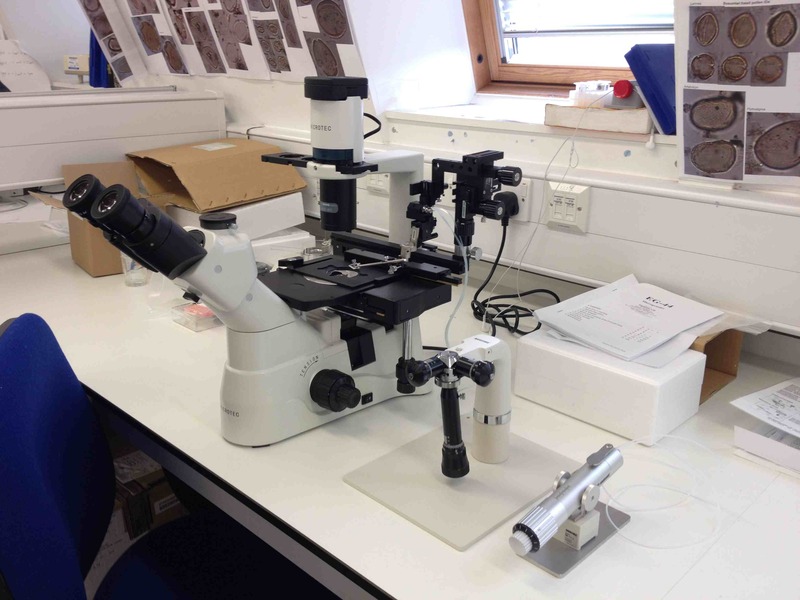 There is also an inverted microscope and micromanipulation system for the rapid picking of palynomorphs and other microfossils together with a six figure microbalance for weighing small samples and image analysis facility for measuring the size of microscopic shells. The laboratory is located within our department of Environment, Earth and Ecosystems close to the offices. 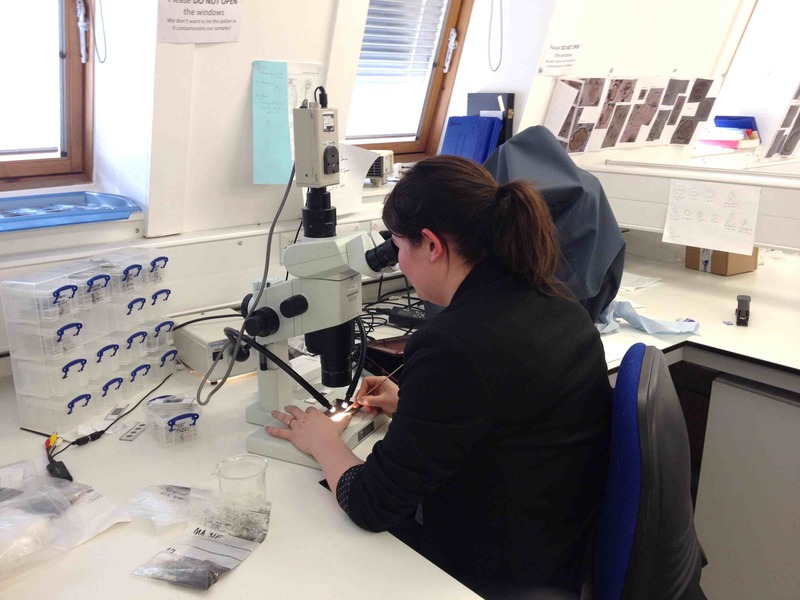 PhD student Alice Kennedy picking foraminifera in the microscope laboratory. The micromanipulator in the microscope laboratory.